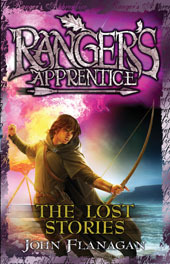 The Ranger's Apprentice books are a series of brilliant books for kids and young teens written by Australian author John Flanagan. My twins sons loved these books when they were younger. They started reading them when they were eleven, devoured each book in double-quick time and then insisted we rush out to buy each new book as soon as it was released. Luckily, John Flanagan writes pretty quickly so there usually wasn't too long a gap between each book. He used to work in advertising so I guess he was used to writing quickly! 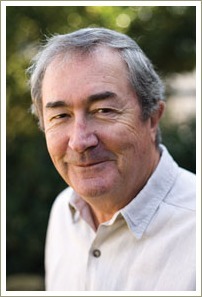 We were even lucky enough to meet John at an author signing visit at The Children's Bookshop at Beecroft back in 2007. The bookshop's very near our place and the owner, Paul, often arranges author visits. The crowd had gone by the time I arrived to pick my sons up and they and Paul's son were the only ones still there. 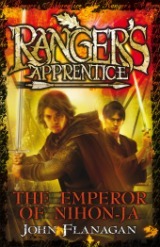 John was very generous with his time and lovely to chat to, signing all my boys' Ranger's Apprentice books. 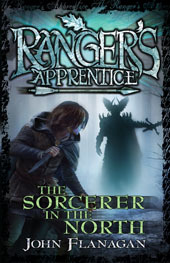 The Ranger's Apprentice series started out life as twenty short stories which John Flanagan wrote to encourage his twelve-year-old son, Michael, to read. Michael didn't enjoy reading and John felt that this was because Michael simply hadn't yet found any books that appealed to him. The stories morphed into a book and then a sequel and there are now 11 books in total. 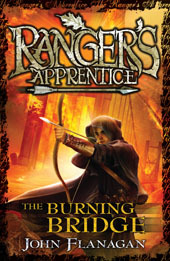 The first book - The Ruins of Gorlan - came out in 2007 and the last book - The Royal Ranger - in 2013. 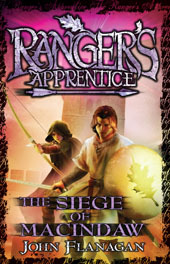 The books are now sold in loads of countries and the series is often on the New York Times Bestseller List. The books have also been shortlisted for children's book awards in Australia and overseas. 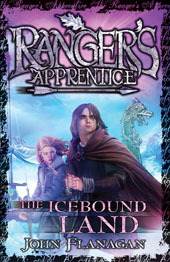 The series is popular with both boys and girls but the books seem to strike a special chord with boys in the 10-13 year old age group. Not only did my sons love them - all their friends did too! 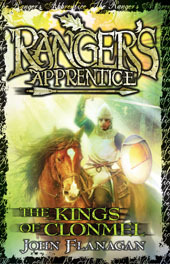 The Ranger's Apprentice series is set in a fictional world based on European medieval times. 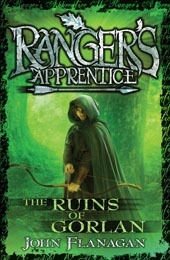 The story centres around Will, an orphan who is fifteen when the first book - The Ruins of Gorlan - begins. Will is convinced his father was a mighty warrior who died in battle. On Choosing Day when the orphaned boys and girls are selected for the jobs they'll do for the rest of their lives, Will hopes to be selected for Battleschool training to become a warrior like his father. 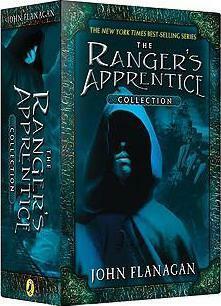 Instead, he's told he will be joining the mysterious Rangers Corps. 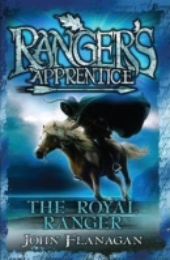 The Rangers are an elite Special Forces Corps in the medieval Kingdom of Araluen. They are the eyes and ears of the Kingdom, the intelligence gatherers, the scouts and the troubleshooters. 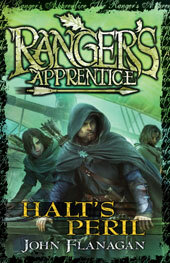 Will is apprenticed to the mysterious Halt and the first four books tell the story of Will's first two years as an apprentice. 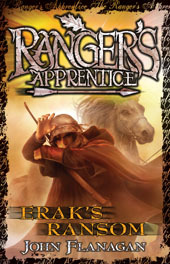 Only young men who are judged to have the qualities of honesty, courage, agility and intelligence, the hallmarks of a Ranger, are selected to undertake the five-year apprenticeship to learn the almost supernatural skills of a Ranger. If a boy passes his first year, he is given a bronze medallion in the shape of an oakleaf. 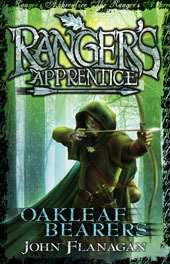 If he graduates, the bronze will be exchanged for the silver oakleaf of an Oakleaf Bearer, a Ranger of the Kingdom of Araluen.